It’s a celebration of life, and it’s only right you a pop a bottle and drop the confetti. Today’s new music comes from Dizzy The ill One. 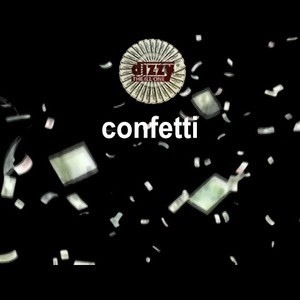 Titled “Confetti” and was produced by the artist, Dizzy celebrates life, being able to live to see another day, receiving some of life’s pleasures, and living it up. Very good entry from the rapper and many can relate to it and keep it on heavy rotation. More life! Dizzy’s “Departure Lounge is coming soon. Check out the track below and share your thoughts in the comments section. Pay attention! It’s that time again where some of Jamaica’s best Yardcore artists grace the stage and display their talent to the masses in a concert series called “Pay Attention“. Held on Saturday June 8 at Club Indulge in Kingston, and featuring acts such as Acmatic, Sly Rankin and others. As a teaser to the show, Pay Attention released a Rap Cypher video featuring Five Steez, Nomad Carlos, Memoirs, Tripple, The Sickest Drama, Gully Cash, and Avalanche. Very dope mix of flows and lyrics, a great showcase of what Jamaicans can do once given the opportunity. Foreign acts pay attention and read this article on making a link up here. Part 2 coming soon. What you think? Check out the video below and share your thoughts in the comments section. Happy 4/20 readers. While many of us can’t partake in the festivities of the day we can all enjoy some music right? Today’s mixtape comes from Money Music Ent. and 876 Kemxtri Muzik and I hope you have a reservation. Titled “The Guest List Vol. 2” and hosted by Kash Kapri and Five Steez, this mixtape features 29 tracks by some of the best Jamaican Hip Hop has to offer. Apart from the hosts, this mixtape also features music from SOS Dynamikz, The Sickest Drama, Kabaka Pyramid, Fofifth, Ill Gramma and many others, you can enjoy this mixtape in your choice of a smoking or nonsmoking section today. Check out the mixtape below, download, and share your thoughts in the comments section. Get your umbrellas out, batten down your windows, and check on your insurance because these members of Sons Of Liberty are about to bring a disaster. The Rush, Tristan and King Biggs bring you “Natural Disaster“. Produced by King Biggs, we hear the rappers speaking on their skills and why they’re better than the competition. There’s a heavy chance of a storm, take shelter. Check out the song below and share your thoughts in the comments section.